1. Shop Small. November 30th is Small Business Saturday 2013 - sandwiched between Black Friday and Cyber Monday, this shopping day needn't be overlooked. Take a break from the crazed deal hunting and support your local small businesses. It isn't just about spending (though small business owners will appreciate it), but it's also about boosting the spirits of the local business owners, so even if you're already broke from Black Friday, it's still a great day to head to main street and do some window shopping. 2. Eat Those Leftovers. You want to eat up that turkey soon so you don't risk food contamination. If you have lingering turkey and cranberry sauce, use it up with one of these Thanksgiving leftover recipes. I'm using up my turkey meat and cranberry sauce to make a Thanksgiving Monte Cristo sandwich today. I will definitely take pics for a recipe post. Pictured above: Grilled Turkey and Brie Cranwich by Confections of a Foodie Bride. 3. Put Up the Tree. I know a lot of people who have already put up their Christmas decorations, including me. I put a lot of effort into beautiful Christmas decor; I want to enjoy it as long as possible. 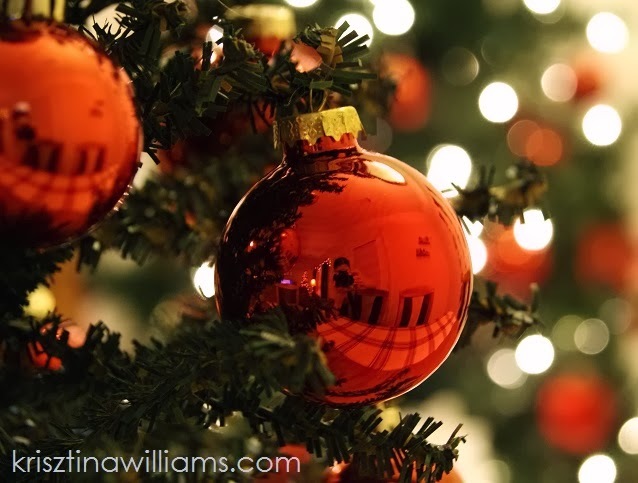 For inspiration you can check out my Christmas Home Tour from last year, and you can follow along with my Christmas Home Decor pinterest board where you'll find over 100 pins featuring beautiful Christmas decorating ideas. 4. Get Off the Couch. The average American piles on 5 extra pounds every year during the holidays. Yikes! Take some time during Thanksgiving and Christmas to keep your health in check. Pack on the veggies and go for a walk. 5. Catch a Flick. There are several great new movies in theaters right now, like the latest Hunger Games installment. Though I'm most excited to see the new Disney movie Frozen with my daughters. I'm also patiently awaiting the DVD release of Mortal Instruments: City of Bones, for release on December 3rd.